Last week two Muslim boys were put in isolation at a Catholic school and ordered that they must return to school "clean" shaven. Coincidentally this weekend I made a trip to the Imperial War Museum with my daughter and we spent a lot of time in the Holocaust gallery there. There were many things in that gallery which would and should leave one shaking, not least how the Nazis' first systematic use of production-line killing was the extermination of disabled and mentally impaired people, especially children. One of the less distressing exhibits was footage of a Nazi SA gang forcibly shaving Jews' beards and payots (locks of hair) in the early 1930s. Inconsequential compared with what followed, yet very telling, how a minority was singled out for public humiliation in an environment where a more powerful group sought to impose its own definition of acceptability in its efforts to draw popular favour. I do not believe for a moment that the Head Teacher, Xavier Bowers, is part of a neo-Nazi vanguard of course. But I do believe that he would not have imposed this humiliation on his pupils if this was not a time when populist journalism could muster widespread anti-Muslim prejudice just as the proto-Nazis used anti-Jewish prejudice to gain advantage in the 20s and 30s. The "choice the boys are making" is to practice their faith. It is not for Xavier Bowers to state what is and what is not within the Muslim faith. 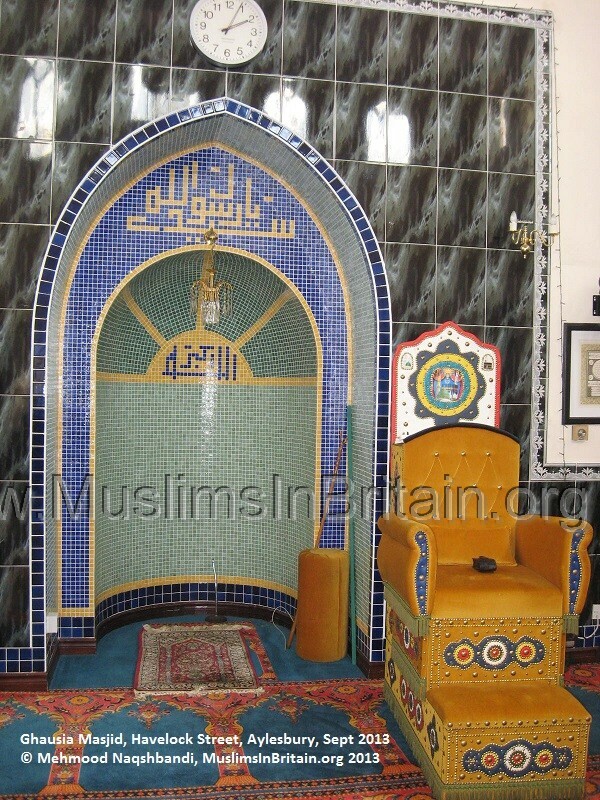 As for the Muslim elders supposedly consulted, yes there are no doubt many of sufficient age to have been numbered among those who arrived as total strangers in the 1950s and 1960s, who had no masjids to attend, who left behind halaal food and their families in order to make some money out of Britain's invitation. Many of them are still there as trustees of masjids that are so set in the ways of the village that young men and women despair at finding meaningful Islamic practice from the lectures of the imams these elders employ. Their inertia, and the opportunities it creates for others to humiliate young Muslim men, are a very large part of what drives young Muslims to seek alternative sources to define their religion. It is also an element of what motivates Muslim parents to find alternative sources of education, and hence Muslim faith schools. My own experience as a parent, of Muslim faith schools, is such that there is not one I would recommend, for a variety of reasons, which go beyond the scope of this blog article. One reason however is that they echo the same sectarian prejudices as UK masjids and their competing sects, indeed they are usually founded and run by the same vocal advocates of particular sectarian viewpoints. And are run with the same cynical contempt for diverse Muslim perspectives: you will find more adherence to a diverse multi-faith curriculum in a typical Muslim school's RE lesson than in many non-Muslim schools; but you will most likely hear just one Muslim sect's perspective in the same lesson, with alternative practices condemned unequivocally. Worse yet, by extension, you will find apalling racism directed at racial minorities within the class and among the pupils - this is my own children's first hand experience. A Muslim free school accused of imposing strict Islamic practices, such as segregated classrooms, has closed following an inspection by Ofsted. The BBC reported that unnamed former staff members of Al-Madinah, which opened as a free school in September last year, had alleged that girls were forced to sit at the back of the classroom, and that female staff members, including non-Muslims, had been forced to wear the hijab. However the article states, "Last week, the interim principal told the BBC that he had not received any complaints from colleagues regarding the dress code and that pupils were not being segregated, with girls and boys being treated equally." Whatever the case, the strict Islamic ethical code does not require any segregation between children pre-puberty. Post-puberty the notion of separation in a co-ed class is not at all what Muslim parents would send their children to an Islamic school for - the classroom is not modelled on a jama'at in a masjid. Separate schools, yes, in common with many secular and faith-based schools, but the entire rationale for that falls apart in a segregated classroom. Non-Muslims being forced to wear hijab? Can I invent the term "Islamical Correctness" to define nonsensical reduction of ethics to absurdity? If someone is not a Muslim, he or she is not required to adhere to any Islamic dress or food or behaviour custom whatsoever. If you don't want to see a non-Muslim lady's hair, then either don't look or stay indoors out of harm's way. Even in the masjid itself, even at the time of salaah, there is no Shari'a basis for requiring visitors to cover their heads. They aren't going to walk around in front of you during the salaah - there simply won't be space to do so unless you've arranged your salaah without a sutrah, and even then, so what? What about when you make your salaah out in the open in public (where it is meant to be seen). Are you going to interrupt your salaah when a non-Muslim woman walks past and is glimpsed out of the corner of your eye, bare ankled or worse? Please stop the nonsense of imposing Islamic habits on non-Muslims, it achieves nothing. And, Mr Xavier Bowers, please stop imposing your ritual humilation and your contempt for their religious practice, on Muslim pupils - you are not helping your religion or theirs, nor your school or their education. Sherafiyah Lewthwaite, born Samantha, has been a figure much speculated upon in the last few days. She grew up in Aylesbury, where she married and lived with Abdullah Shaheed Jamal, Germaine Lindsay, one of the 7/7 bombers up to the morning of 7th July 2005. Coincidentally I was in Aylesbury this weekend, and renewed my acquaintance with its masjids (mosques). I last visited Aylesbury in November 2009, and my visit this Saturday showed me nothing at all new, sadly, as I shall explain . . . . It is the strong conviction of this website’s author, demonstrated over and over again, that whatever an individual’s motives for taking the path of violent extremism, in the case of practically all Muslim converts, it is the abject failure of the UK Muslim communities at large to meet the proper needs and expectations of converts that drives significant numbers among them rapidly into extremism. The engine that drives converts away from the civil, reasonable mainstream is the deep rooted, exclusive sectarianism that permeates every masjid in every town in Britain. Aylesbury hosts clear examples of this, but there is nothing extraordinary about Aylesbury. In a nutshell, militant or civil, neither Lewthwaite nor Lindsay ever had a hope of fitting in with the host Muslim community there, and their prior experiences briefly in Huddersfield would have been pretty much the same. 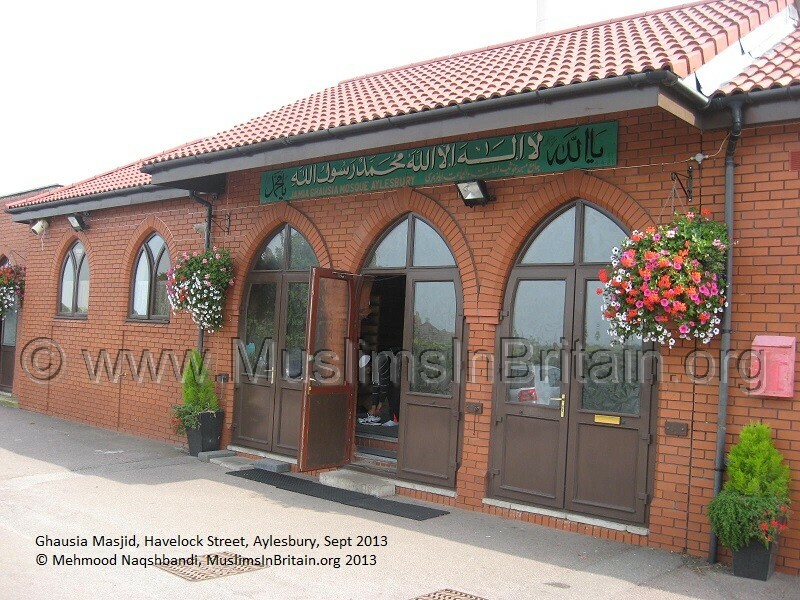 “Abdul Dayan, the imam of the Jamia Ghausia mosque in Aylesbury, said that Lindsay did not attend, and did not mix with the largely Pakistani Muslim community.” This is not a case of Aylesbury masjid locking out extremists, it is Aylesbury masjid, like nearly all of Britain's 1500 plus masjids, being completely incapable of escaping from its own tribal sectarianism and adjusting to a plural, multi-ethnic, diverse Muslim community that has room for converts to flourish healthily. UK masjids' failure to overcome sectarianism, and the closed, self-referential Muslim institutions that result from this, leads directly (i) to extremism among those left out, and (ii) to the community's failure to recognise and address dangerous militancy right under its collective nose - a subject about which we have written extensively. Until 2009 there was only one flavour of Muslim that was acceptable in Aylesbury, and in its main masjid and an offshoot madrassah, that is utterly true to today. The Muslim community there is almost entirely rooted in the rural district of Mirpur in Pakistani Kashmir. This is the case with nearly all of Britain’s Pakistanis, they are networks of families from either Mirpur or Jhelum, a very similar district in the Punjab. These networks of families are strongly bound in traditional village Islam, in which deviation from the predominant strain of Bareilvi-schooled, Sufi- oriented Islam is regarded as treachery, as delinquency. Even to take a pledge of allegiance with a Sufi shaykh from a tariqah outside of the family’s village custom is regarded as a challenge to the authority of the predominant tariqah and its pir or principle spiritual guide. While I can say nothing about the credentials of the Aylesbury Kashmiri families’ customary tariqah, it is well established that many such arrangements are in effect, lucrative family businesses that bind together influence and money in exchange for a supposed gateway to spiritual purity and salvation. In Britain, these cultural ties to the original villages in Punjab and Kashmir are held rigid through masjids that are run by committees of elders who maintain with the utmost vigour, the control of the masjid, from Aylesbury to Worcester and 417 other masjids besides, not to mention the local masjids of the other three 7/7 bombers in Leeds and Batley. Anyone who visits one of these staunchly Bareilvi masjids and doesn’t visibly conform to the required rituals, is regarded as either an imbecile or a hostile threat. Remember to kiss your thumbs at the mention of the name of the Messenger of Allah (S); don’t stand for the salaah in jama’at until the statement, “qad qamaatis salaah”, and even then, not before the imam rises; stay in your place at the end of salaah and recite with gusto the statement of faith as a dhikr; . . . and many more such clear indicators that you belong, that you aren’t going to rock the boat, that you aren’t going to raise the curiosity of the impressionable local youngsters who are largely baffled by their elders’ customs, and draw them away into a deviant practice that will forever condemn them. The rituals of Bareilvi Islam, Ghausia Kathm, Gyarwi Shareef, the aforementioned gestures, are obscure even to those who practice them, so their children are especially vulnerable to anyone who brings along any simpler, more essential flavour of Islam. Most important of all, the rituals are almost impenetrable to any convert to Islam, whether attracted to Sufi mysticism or not. Through being separated from the knowledge and practice of their originators such as Shaykh Ahmad Raza Khan of Bareilli (R), they have become empty and meaningless cultural accretions. But this essay is not about the validity of Bareilvi practice, it is about the way in which those who run these masjids perceive any other kind of practice whatsoever as being a challenge that must be removed, and the ways to remove it are to ostracise anyone who thinks otherwise, ostracise anyone who tries to introduce anything different, and by employing an imam that is qualified by the eloquence of his crushing rhetoric against the known enemy, which is usually understood to be Deobandi-ism, and collectively anything that can be branded “Wahabbi”, the ultimate pejorative. The influence of the imam over the congregation is self-evident, so it is vital for the committees of elders to engage as imam someone who is tied irrevocably to the home village clan, and definitely not an imam with recognisable pastoral skills, lest he carve out his own following. Ability to speak English is utterly irrelevant firstly because the rhetoric required is written out in high Urdu, not even the patchwork Urdu recognised by the local clans, and secondly because of paramount importance is keeping the local flock vehemently in line – they are the families whose elders run the committee and whose donations pay for the elaborate marble extensions. At an early stage of his induction into Islam, Germaine Lindsay expressed the apparent need to learn Urdu, an experience not dissimilar to my own, when I had in fact expressed a desire to learn Arabic, but my mentors patiently explained that all the important literature of Islam was written in Urdu. I was equally patient, and tried, but the daftness of that assertion was not lost on me, and I recognised perfectly well that it was a manifestation of my mentors’ inability to explain the subtle complexities of their interpretation of Islam in English, notwithstanding the elegant simplicity of the creed. In Lindsay’s case, he clearly met with the same problem, and found his initial Muslim hosts unable to provide any more than the most rudimentary explanation of the faith. Inevitably he went elsewhere to look for answers. Indeed any convert Muslim dropping in on such a cosy community as Aylesbury’s Muslims will be seen initially as a charming novelty, then an embarrassment as he or she asks some pretty obvious questions like what the imam is talking about, in English, if you please, and ultimately as a threat, as he or she returns having learnt from some other, entirely reasonable source or perhaps more dour or troubling one, any one of a dozen alternative interpretations of Islam, all of which appear to accord more closely with the Qur’an and the Sunnah, spelt out in plain, logical English. The threat becomes reality when not only does the convert discover that there are other, more accessible sects besides the incumbent one (which may not be Bareilvi, it is more likely to be Deobandi, but with its own version of protective exclusivity), but that as a conspicuous convert he rapidly attracts the attention of other dissenters who hitherto were stymied from dissenting openly, by the inertia of the local stitch-up. During this phase, the discontented convert always flits between different sects, all underground in relation to the incumbent one, different versions of Islamic practice, and in some cases such as Lindsay, decides to damn them all, not least in sheer frustration at their parochial exclusivity, their lack of care for any Muslim and any kind of Islam outside of their own village home-from-home in urban Britain. Lindsay’s actions, and the other bombers’ too, were as much about shaking the complacency of the Muslim ‘establishment’ in the west as it was about shaking the west. On Saturday I asked one elderly, full bearded gentleman about whether there were any converts using Aylesbury Ghausia masjid. He replied circumspectly, “a few”, so I asked for some more precision, which he gave as “one”, so I asked about the one, having an obvious interest as a convert Muslim myself. Continuing his circumspection, he confessed, “maybe less than one”, shrugging, so I gave him an understanding smile and thanked him for his assistance. Meanwhile, some volunteers were working on the Masjid’s PA system. Not content with the customary “one, two, testing” routine, they prefixed it with the full, “As-salaat o as-salaam alayka ya Rasulullah, as-salaat o as-salaam alayka ya Habibullah” (‘salutation and peace to you oh Messenger of Allah (S), salutation and peace to you oh Beloved of Allah (S)’) before continuing with the standard two digits test. To many, such a recitation addressed directly to the Messenger of Allah as if he is present, is anathematic polytheism, and to a fully subscribing Sufi it is at best vexing to explain, yet to these electricians it was an essential element of belonging to their masjid. I made my salaah in front of the mehrab, and photographed its mosaic decoration, recording the words “Ya Sayedi, Ya Rasulullah” (O leader, O Messenger of Allah) fixed into the very fabric of the building. Again, for any Muslim not indoctrinated with Sufism, prostrating towards such a device may well be regarded as an invitation to polytheism - it has the blunt effect of telling them, "Go away, if you stay and make your salaah here, we will force you to conform to us." When I left, it was to record among other things, the name of the masjid, “Ghausia” i.e. attributed to the desired abilities of the 6th Islamic century Shaykh Abdul Qadr Jilani (R) to intervene in matters requiring a Divine solution. This name was parenthesised by the inevitable “Ya Allah” and “Ya Muhammad”(S), proclaiming to any advocate of any ‘deviant’ sect that they would only be tolerated for as long as they kept their mouth firmly closed and if they didn’t like what they saw, then tough. Indeed complacency runs deeper than ever, Bareilvi establishment figures especially are extra quick to curry favour with politicians and use jibes of ‘extremist’, ‘Wahabbi’ against their rivals to gain advantage over them or deny their rivals access to influence or resources. Meanwhile convert Muslims such as Germaine Lindsay or Samantha Lewthwaite are driven away from Bareilvi-oriented communities, along with anyone else, militant or moderate, guilty or innocent, who happens to disagree or who looks to have undue influence that might undermine the village elders and their stranglehold on hundreds and hundreds of UK masjids. This is not about the Islamic validity of Sufism or Bareilvi practice, it is about local community leaderships' intolerance of difference or dissent, and its autocratic and unaccountable grip on masjids, madrassahs and other Muslim institutions. The consequences are already disastrous for Muslims in Britain, and the disasters will continue: Germaine Lindsay was not the first and sadly Lee Rigby's murder will probably not be the last, whether or not Samantha Lewthwaite has a case to answer in Nairobi. Current lurid press coverage of her is 100% speculation, but her inability to be absorbed into the Muslim mainstream fits the experiences of the vast majority of other converts to Islam.